Music for Kids’ Sake 2 is at the Elmwood Park Band Shell 1325 Harding Blvd. 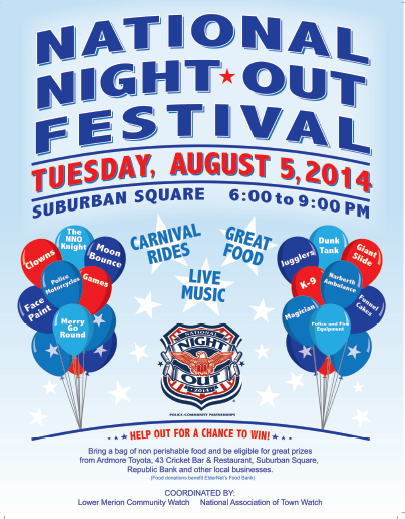 in Norristown on Sunday, September 7, 2014, from 3:00pm-8:00pm. It is the finale of the park’s summer series! Music for Kids’ Sake 2 is a second annual event. This year benefitting Expressive Path. There will be performances by four OUTSTANDING bands: The Whiskeyhickon Boys, The Sofa Kings, On Deck Band and Mercury Rizing. The MC is Season 28 Survivor, Brice Izyah Johnston. They have all volunteered their time to assist Expressive Path in helping adolescents in Montgomery County participate in the arts. The event is sponsored by Sam Ash Music Stores, King of Prussia. This is a rain or shine event. Please enjoy the below links with more information about the entertainers. Please spread the word!!! !